Next year, U of T will join a consortium of 46 universities that use UniForum, a data analysis tool that measures administrative expenditures and provides suggestions to boost efficiency. The data collected by UniForum will consequently inform U of T’s annual budget. UniForum partner institutions then share their management strategies with other universities at an annual conference. UniForum partner institutions engage in an annual cycle of activities that consist of three phases: data collection, briefings and workshops, and collaborative studies. Using UniForum tools, universities collect and self-report information on resource capacity and employee allocation in over 150 key activities across 14 different functional areas. Employee surveys are a core component of the data collection system. After submitting this data, universities meet to debrief each other on their respective results. Cubane Consulting, the company that provides the UniForum service, subsequently provides university-specific briefings to each partner. As a final step, universities meet at an annual conference to present their insights and compare data. This process aims to allow universities to assess their relative research efficiency and provide direction for strategic decision-making when implementing long-term plans. Participant institutions share their administrative activity data in order to form a pool of information. This collaborative approach ensures that local information from different schools can be used as a benchmark for each institution, creating a wide range of solution paths to minimize costs and maximize efficiency. Mabury described the program as a “benchmarking exercise” that will be increasingly valuable as more universities partner with UniForum. Why is U of T using UniForum? Mabury added that in the 12 years that UniForum has been active, no partner universities have stopped using it. Mabury and Vice-President Human Resources & Equity Kelly Hannah-Moffat are the co-executive sponsors of the program at U of T.
UniForum has 20 partner universities in Australia, 18 in the United Kingdom, five in Canada, and three in New Zealand. The Canadian member institutions are York University, the University of British Columbia, McMaster University, U of T, and the University of Alberta. The latter two universities will both begin using UniForum in 2019. Other notable universities using UniForum include the London School of Economics, the University of Cambridge, the University of Oxford, and the University of Melbourne. Cubane Consulting is an Australian consulting company with offices in North Sydney, London, and Toronto. Ulrich Krull has been appointed as interim Vice-President and Principal of UTM. Krull’s term will be effective September 1, 2016 to August 31, 2017, or until a permanent Vice-President and Principal is found. Krull will be replacing Deep Saini, who will be serving as Vice-Chancellor of the University of Canberra in Australia. Krull was previously appointed as acting Vice-President and Principal in July 2015, while Saini was on a six-month sabbatical. Krull has had an extensive history at the university, having completed his BSc, MSc, and PhD at U of T. He then went on to become a professor of Analytical Chemistry, with a specific interest in molecular diagnostics technology. Krull has held numerous administrative positions at UTM over the years, including: Associate Dean of Sciences; Vice-Dean, Graduate; Vice-Principal, Research; and Vice-Principal, Special Initiatives. In addition, Professor Krull has held various positions in Mississauga, assisted with four different start-up companies, and won numerous awards throughout his professional career. When asked about his role at UTM, Krull stressed the importance of working with the UTM team rather than simply leading it. “They’ve selected me in this particular case to be the spokesperson. I need to take the time and effort to make sure I represent the ‘we’ — not the ‘I’. And that’s the style that you’re going to see from me, as much as I can manifest that. Keep the ego suppressed and keep the goals of what the community is after — that comes first and foremost,” Krull said. Although he does not often speak of it, Krull is also a local Judo instructor. He believes teamwork, focus, and tackling large tasks are some skills that he has grasped from the sport, which has also contributed to his approach to the new position. Krull described multiple challenges he hopes to tackle throughout his term, including the growth of the Mississauga campus. “We’ve grown very quickly over the past 10 years, 12 years — and to the point that we need to balance our faculty to student ratio. We can’t hire fast enough to be able to maintain the kind of ratio we want; we can’t build fast enough to be able to satisfy the demands for space,” Krull said. “I may have started at the St. George campus, but I really came out here in my early years and I grew up on this campus as a faculty member for about 30 years… so I really consider this to be my home,” Krull said. From the Dalhousie dentistry scandal in 2014 to a recent string of sexual assaults at the University of British Columbia, high profile occurrences of sexual misconduct have raised national concerns about sexual violence on university campuses. Students have consequently lobbied university administrations to implement sexual violence policies. At U of T, that advocacy pressure has resulted in the creation of the Advisory Committee to the President and Provost on Preventing and Responding to Sexual Violence. The committee released their final report shortly before reading week, a decision that has been both a cause for criticism and for cautious optimism. The committee’s process has been slow; it seems as though the issue has not been addressed with the urgency it deserves. 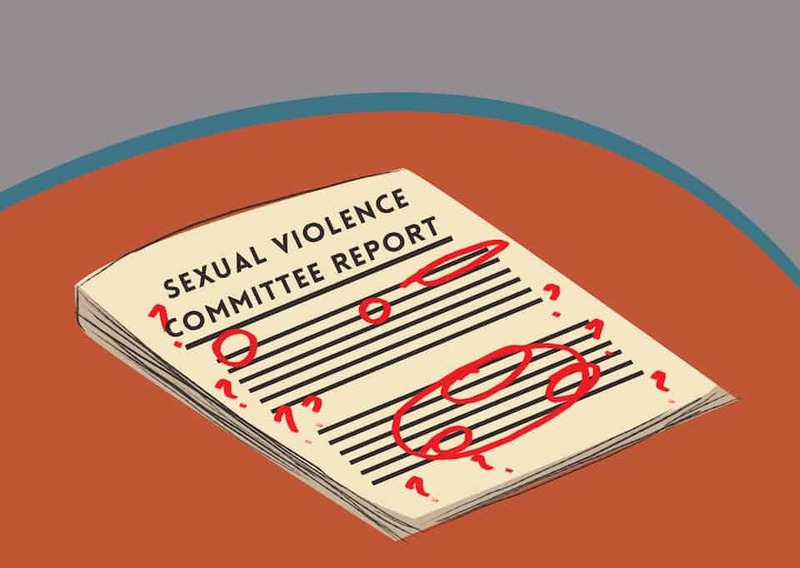 It took the committee 15 months from the time it was first established to release their report, and it does not include any specific terminology or protocols for a new sexual violence policy at the university. This is slow compared to the single month it took Queen’s University to create an interim sexual assault support and response protocol in response to the Toronto Star’s investigation into sexual violence policies at different universities. It is a weak excuse to say that bureaucratic, administrative processes hampered the committee’s ability to produce prompt recommendations. While policy is not created overnight, the administration should have certainly prioritized the issue. Given the gravity of the issue, it is unclear why our university did not move more quickly. Some recommendations require more research than others, but this should not exclude the possibility of an interim protocol or, at the very least, a clarification of existing procedures. The committee also proposed that a “policy on sexual violence be created and begin with a clear affirmation that sexual assault and harassment will not be tolerated on campus.” Yet, the recommendation for the sexual violence policy is simply that — a recommendation. It does not indicate what rights will be afforded to survivors of sexual assault, nor does it offer specifics on how the procedure will work. This is not to mention that an institutional commitment to combatting sexual violence is a step forward, but such a simple statement could have been made much earlier. Looking at Queen’s again: only one day after the Toronto Star published its review, the university’s principal and vice-chancellor wrote an article in the university publication The Gazette, affirming that “there is no tolerance for sexual assault in our community” and that “we have much work to do in this regard, but we have also made some significant strides.” Additionally, he outlined the steps the university was taking to combat sexual violence, projecting accountability to the broader community. U of T should aspire to have leaders that encourage similar attitudes. These benefits are offset by the fact that the committee’s report lacks any set deadlines for further discussion or policy. This lack of certainty leaves the progress on sexual violence in limbo, and makes it harder for students to hold the university responsible for producing anything in the near future. The university’s choice not to make the report more public exists in the same vein. For all the emphasis on campus-wide education initiatives, there was a curious failure to disseminate the report via university list-servs. This is concerning because the committee purports to want feedback from students. Yet, this cannot occur unless students know what they should be responding to. It is important that we recognize the limits of bureaucracy when responding to various complex social phenomena. Equally important, however, is to keep a critical but fair eye on those who wield institutional power. In this sense, the release of the committee’s report is bittersweet, and the fight against sexual violence is far from over. Naomi Stuleanu is a second-year student at Victoria College studying criminology and psychology. Her column appears every three weeks. 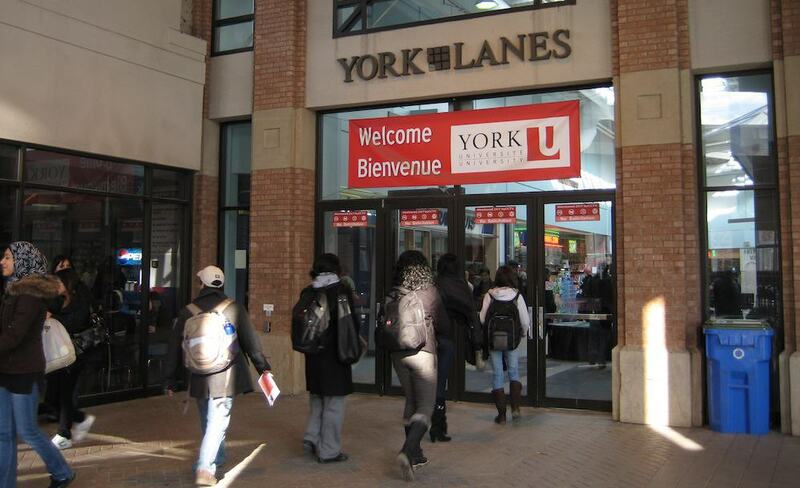 On January 11, York University mistakenly emailed 500 acceptances to applicants who had not yet made the cut. These letters found their way into the hands of recipients who had their brief moments of joy abruptly interrupted by emails from the university, issuing corrections and apologies. Since then, the actions of the York admissions board have been highlighted in various news publications, including the CBC and the Toronto Star. York’s error lends itself to clichéd complaints about universities and their failings, but this is hardly an issue that merits true indignation, let alone extensive media coverage. On the surface, it appears that this is a mistake that could have easily been avoided, and that an error of such magnitude can only be attributed to ineptitude on the part of the admissions officials. Closer examination, however, makes this misunderstanding more justifiable. Let’s crunch some numbers: York employs over 7,000 staff and faculty, and although the exact breakdown remains unclear, the admissions office has already received over 26,000 applications for the fall semester, with more to come. Regardless of what percentage of their total staff are responsible for admissions, there is an overwhelming amount of information for employees to process without resorting to shortcuts. The overburdened admissions office also has to juggle specific logistics for different applications. This includes the paperwork resulting from the many hoops international students must jump through in order to study in Canada — with students from a multitude of countries, visas, English proficiency tests, and high school requirements may vary widely. Scholarships, disability accommodations, mature students, and transfer students also fall under the purview of the admissions office. This occurs parallel to the requirement that officers track an array of constantly changing marks, supplementary documents, and requirements across departments. Additionally, employees have to coordinate with one another to send out acceptances not in one simultaneous event, but in a staggered manner, adjusted according to the number of acceptances being confirmed or rejected. Overall, this bureaucratic brain has impulses and orders firing off in every direction, under constant time pressure to get everything done, and all it takes is one misfired synapse for a mistake to happen. Frankly, it’s amazing how well university admissions offices consistently run when you look at the depth and breadth of analysis required. One can imagine how, in the span of a day or less, someone could be sent the wrong names, quickly fill in the acceptance letter template, then erroneously send it out before realizing their mistake. Luckily, York’s recognition of their error was prompt and courteous. Within 24 hours of the incident, the university sent out an amendment and apology. Given this short timeframe, it is doubtful that, of those applicants who had even checked their email, the individuals in question had abandoned all other offers and stocked up on York merchandise. The vast majority of students applying for university do not bet everything on a single school. In fact, the Ontario Universities’ Application Centre — the database through which high school students submit their applications within the province -— includes application to three universities within their standard fee, with the option of applying to even more schools for extra charge. Finally, it is worth noting that the students affected by this bureaucratic oversight have not been rejected from York altogether; in fact, their applications are still under consideration. It may well be that many of these students will wind up attending the university in the fall. Most of us lament the bureaucratic backlog of universities, particularly given the enormous student population of U of T. But in light of the events at York, perhaps we should reflect more on the effort it takes to coordinate a colossal machine like a university, and we should tailor our responses accordingly. Michael Chen is a second-year student at the University of Toronto Scarborough studying journalism.